This month’s Featured Ride is a friend of mine through Audizine.com and Facebook – Ryan Worthington’s 2007 Audi A4 Quattro Titanium Package. 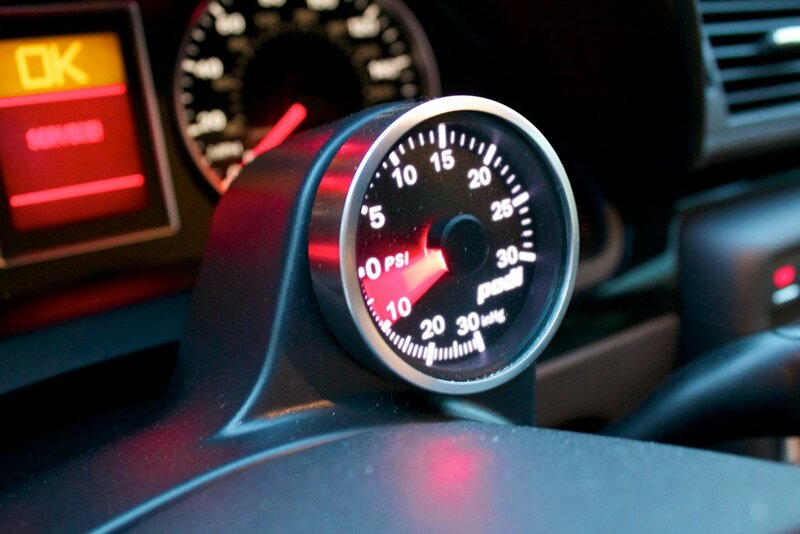 His tastefully modded 6 speed manual 2.0T is equal parts show and go, a great example of what the A4 platform is capable of…you might even recognize it from his videos on Vimeo, his posts on Audizine, or my last Facebook Fan Friday! What really drew my attention to Ryan’s ride is the really cool videos he has taken – you can tell he really enjoys this car, and these videos remind you of the sure enjoyment of just getting away from it all and going for a cruise on a nice day with the windows down, the stereo cranked and leaving all your troubles behind. 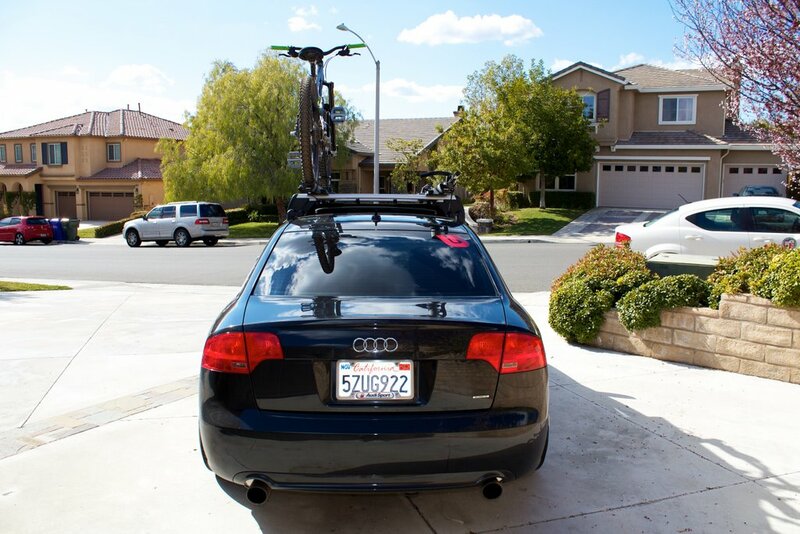 Audi A4 – Car Mount from Ryan Worthington on Vimeo. Audi – Spunky Cyn. from Ryan Worthington on Vimeo. Seriously – how cool is that? Check out how he mounted his camera too – I have to admit I’d be nervous doing this with mine! Here is a glimpse of his mod list – all very nice parts! I have a feeling he might have even left some out, as looking through the pictures I’m spotting all kinds of very subtle differences and enhancements to his car over your average A4. Thanks for sharing your pics and videos Ryan, very cool stuff. Here’s a few extra pictures for good measure! 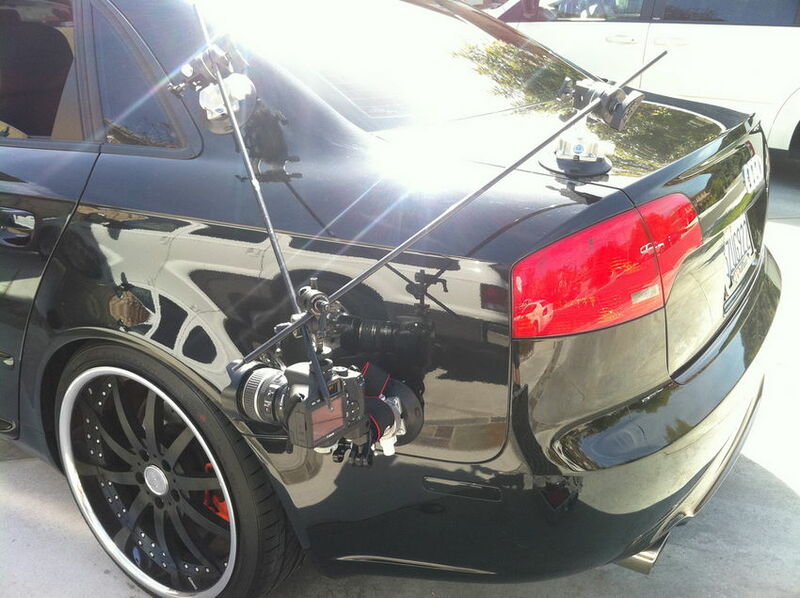 Those videos are really well done, what did they use to attach the camera to the side of the car? Good question! I updated the post to show a pic as his Camera Mount setup is pretty unique! Wow with a camera like that you’d better hope that mount doesn’t fall off!!! wow modification audi A4 car is superb, in accordance with purposes. .
That is really a nice Audi, those are some really nice modifications. I would also be a bit nervous attaching my camera like that lol. Where did u get the front splitter? It’s the front splittler for the SEAT Cupra R – often called the “Seat Cupra R lip” – you can order through any Audi/VW dealer or find them online somewhere. You have to trim the two center parts and then it just bolts right on! What kind of bike rack is that, and how do you like it?? It’s a Thule rack and I believe Ryan (the owner) really liked it. 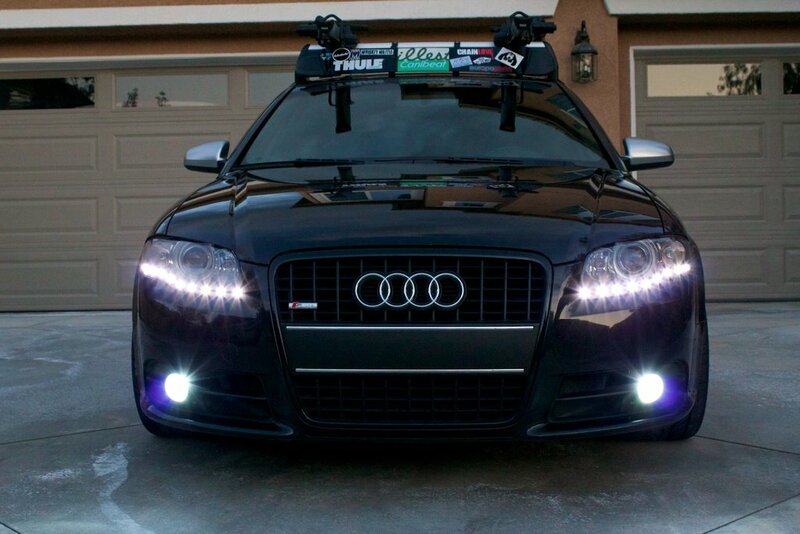 LEDs in headlights. What are they called? Where can I buy them? Where do I buy that roof rack from?